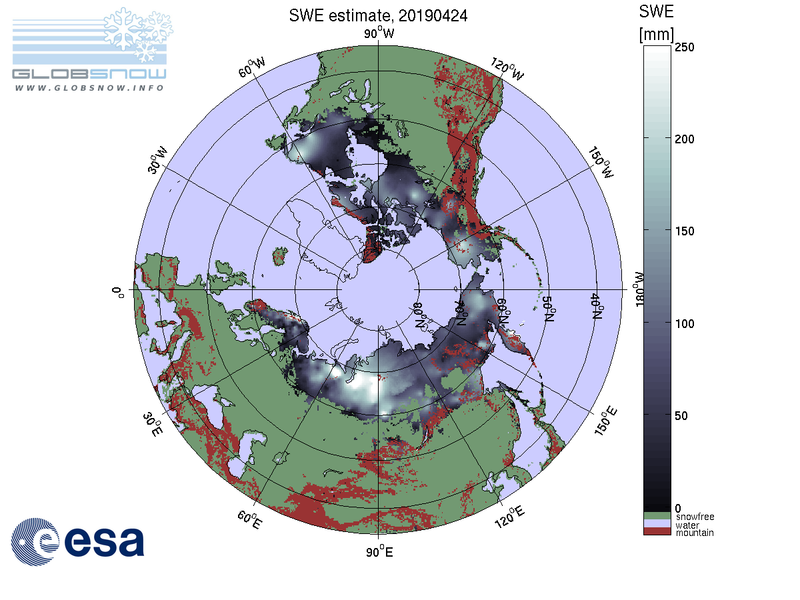 The product estimates Snow Water Equivalent (SWE) in millimeters for Northern Hemisphere in 25km spatial resolution. Greenland, glaciers, mountains and water bodies are masked out. Snow line is determined using combination of NOAA IMS and Suomi NPP VIIRS data.